Given yesterday’s declines, the Dow (DIA) has now turned negative on the week. It is also now underperforming on a YTD basis versus all the other major index ETFs. Fortunately, it is the only ETF to have moved into negative territory for the last five trading days. Granted, the others’ returns are nothing stellar as there is no ETF to have edged out a gain of more than 1%. 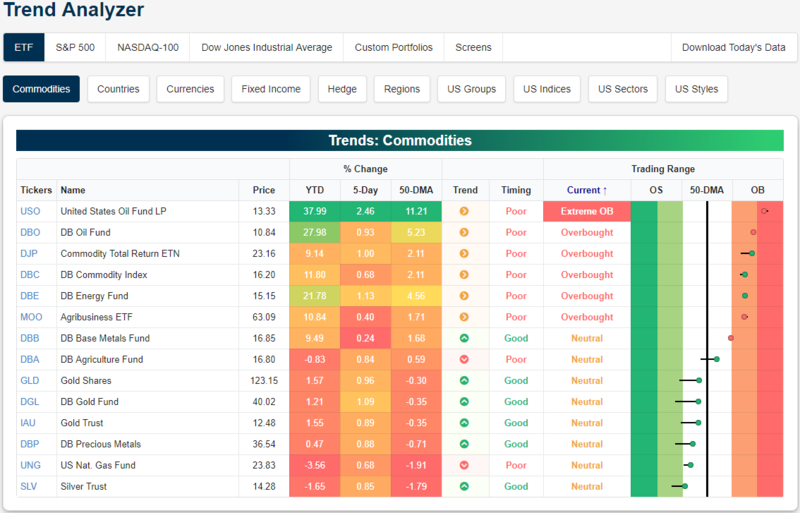 Turning to overbought and oversold levels as seen in our Trend Analyzer, yesterday’s declines only led to a single ETF, the Russell 2000 (IWM) which we discussed in last night’s Closer, falling back into neutral from overbought. There are still eleven others that are still overbought and fairly close to being 2 standard deviations or more above their 50-DMA. From its strong run, the Nasdaq is the most overbought as it currently sits the most extended above the 50-DMA. 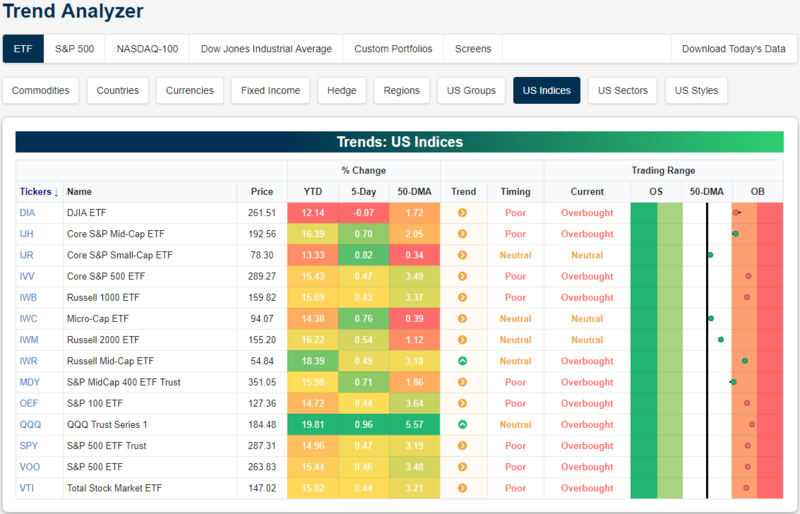 Start a two-week free trial to Bespoke Premium to access our Trend Analyzer tool in addition to other interactive features. Turning to commodities, Crude Oil (USO) has been the only one to see any sort of substantial move in the past week. Even with a decline yesterday, USO is up 2.46% in the past week and a substantial 37.99% YTD! This huge rally comes with the caveat that the asset has become extended above its 50-DMA. At yesterday’s close, USO settled 11.21% above the 50-DMA and remaining in extreme overbought levels.